The Crescents, circa 1897. Back: Jim Bresnahan (Toledo), catcher; Jim Delehanty (Cleveland), third base; Jack Murray (South Bend, Indiana), second base; Frank Sealts (Lima), catcher; Tim McCarthy (Toledo), centerfield. Middle: Danny Burt (Toledo), left field; Bill Covert (Toledo), shortstop; Joe Starr (Toledo), manager; Jack Hunter (Toledo), right field; Henry Machen (Toledo), first base. Front: Eddie Mackey (Marion), pitcher; Roger Bresnahan, pitcher. 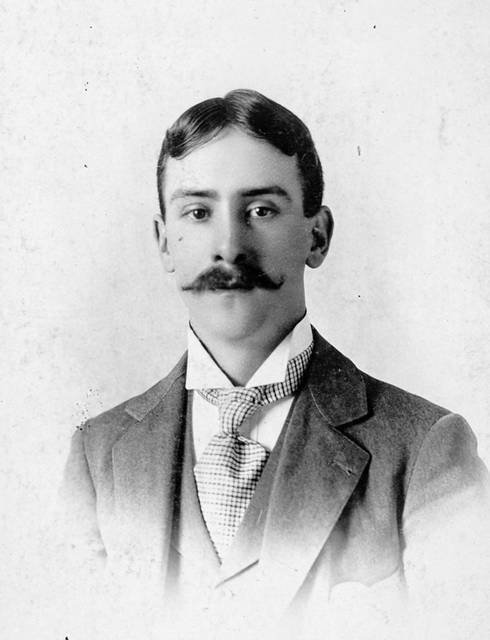 Lee C. Faurot, the nephew of Lima industrialist Benjamin Faurot, played in the minor leagues for several years as well as for the Crescents. In 1932, he was elected mayor of Lima. LIMA — On a spring Sunday afternoon at the turn of the century the Crescents and the Alliance team took the field for a highly anticipated game between two of Lima’s top amateur baseball teams. The game, apparently, was not as impressive as the sentence a reporter wrote to describe it in the May 21, 1900, edition of the Lima Times-Democrat. Teams popped up everywhere. In the late 1870s there were the Quicksteps of Honey Run and the Rattlers of Gomer, the Red Hots of Elida and Clippers of Vaughnsville, the Osceolas of Lafayette and the Antelopes of Van Wert. By 1896, the year the Crescents were formed, Lima was home to a minor league team. On July 27, 1894, the Times-Democrat reveled in the team’s victory over a squad from Cincinnati. “The Limas played their usual good game,” the newspaper wrote, adding that a Lima player named Cox was injured late in the game when “a fly was knocked over the fence into the woods, and Cox ran after and tried to dive under the fence, not seeing the barbed wire stretched across it.” Lee Faurot, the nephew of Lima industrialist Benjamin Faurot, was the winning pitcher that day. Faurot played in the minor leagues for several years as well as for the Crescents. In 1932 he was elected mayor of Lima. Adding to the team’s woes was a fire at the end of August that destroyed much of the seating at Faurot’s ball park, the team’s home field. The fire was believed to have been started by a group of boys, “a crowd of whom have inhabited the grand stand almost every day this summer, playing cards and smoking,” the Times-Democrat wrote Aug. 28, 1894. Although the stands were rebuilt for the 1895 season, the fans didn’t come. The team, which included a teen-aged Roger Bresnahan from Toledo who would play nearly two decades in the Major leagues, struggled. Particularly galling to local fans was the team’s struggles against the Findlay team. As the 1896 season dawned, prospects for a team in Lima appeared dim. “The lovers of base ball in Lima are asking whether or not the game of base ball will be played in Lima this year,” the Times-Democrat wrote April 21, 1896. 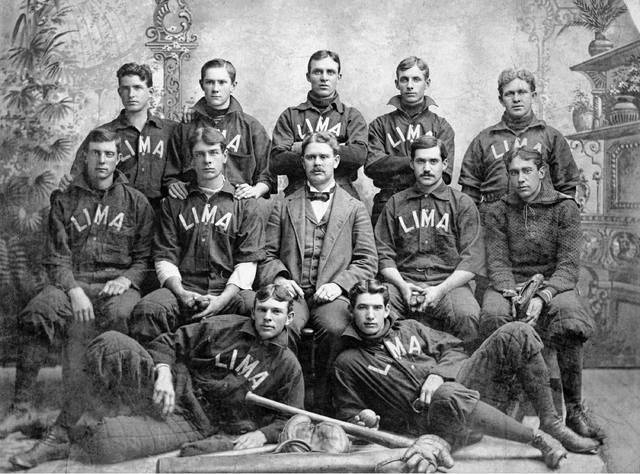 Lima would have a minor league team in 1896, and a league of its own as well. “A movement has been started by Sleuth Huffman, the local base ball enthusiast and others, toward organizing a city league, consisting of four local base ball clubs, to play a series of games during the season. The four teams will probably be Sleuth Huffman’s team (the Crescents), the Marquettes, the Shamrocks and the High School team,” the Times-Democrat wrote on May 19, 1896. The Crescents were reorganized by Sturge Sealts and had a heavy Sealts’ flavor. E. Sealts and M. Sealts were infielders, Roy Sealts patrolled the outfield and Frank Sealts, who had a brief professional career, handled catching duties. Frank Sealts, who was praised by the Times-Democrat for eschewing tobacco and alcohol, became a prominent local businessman. He dropped dead of a heart attack at the age of 41 on the first day of rabbit hunting season in November 1930. The league again disbanded after several years before again reforming in the early 1920s. In 1928, the Crescents claimed the amateur championship of Ohio.